Can you believe that Christmas is just right around the corner?? As a gardener myself, I thought I’d help you all out with what to get the gardener in your life! As an Amazon Associate, I earn from qualifying purchases. See my full disclosure here. How cute is this shirt?? Here’s another one for men or women that comes in a variety of colors! OK, this next one may seem a bit odd… but seriously, vermicomposting is amazing!! I’ve only done a DIY version, but this looks so much more compact and efficient! I would love to have this basket! How convenient would that be to be able to rinse your produce off outside?? I always gather mine in an old 5 gallon bucket, lol! I just started reading this book, but I’m so excited about it!! This would be a great gift any gardener would be thrilled to get. My mom gave me this book for my birthday one year and it revolutionized my gardening methods! I cannot recommend this book enough! I want these gloves!! I had a pair similar to them years ago and LOVED them! These look even better! 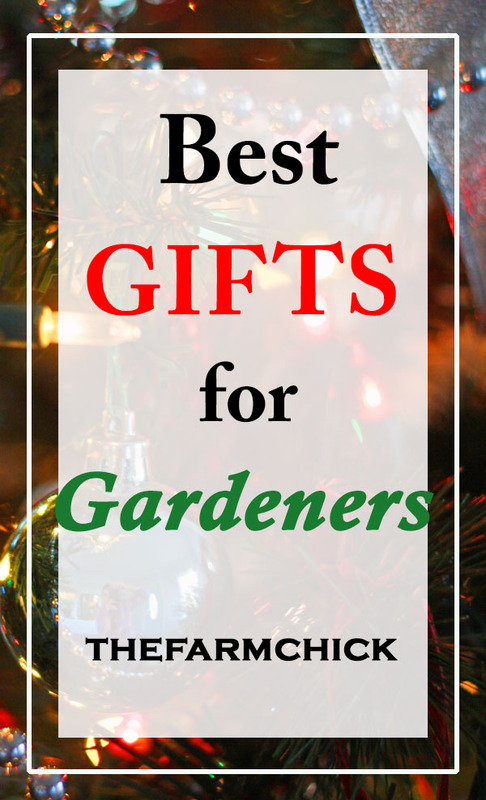 Tell me what your best gardening gifts have been or what you want this year!